Promoting direct positive impact on global poverty is at the core of the ASAP mission. Our Impact Interviews aim to share information and best practices from academic efforts to influence poverty policy and civil society around the world, as a series of free online interviews and articles which explore the how-tos of promoting such impact. They can be both theoretical, exploring ways to conceptualize positive impact, and practical, offering compelling narratives about academics who have achieved positive impact through policy consultations, civil society campaigns and on-the-ground interventions. The Impact series is intended to inform and stimulate dialogue around ways in which academics have and can positively influence poverty. We would welcome suggestions for other individuals or academic groups or teams to profile. If you would like to nominate impact-oriented academics, please contact us. In this article, Gabriel Neely-Streit interviews Professor Martha Chen, a lecturer in public policy at Harvard’s Kennedy School of Government. Read more of our Impact Interviews. In 1997, Chen helped found, Women in Informal Employment: Globalizing and Organizing (WIEGO), a “global research-policy network that seeks to improve the status of the working poor, especially women, in the informal economy.” The informal economy comprises around 300 million laborers worldwide who work without employment security, social security, or other state or employer benefits. Around 70% of informal workers are self-employed, and many live below the international poverty line. Here, Prof. Chen discusses her organization’s multi-faceted and multi-disciplinary approach to supporting informal laborers, as well as her journey from a small NGO in former East Pakistan (Bangladesh) to Harvard’s Kennedy School, and leadership of one of the most important NGOs in informal sector development. 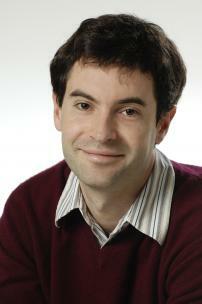 ASAP: You described your career as progressing, “from activist practitioner to activist academic”. Can you describe that progression? What motivated you to enter academia? The activist practitioner part of my career, which was the first half of my career, began when my husband and I and our young son were living in Dhaka, East Pakistan in 1970. The coast of East Pakistan was hit by a very large cyclone and tidal wave, in November of 1970. At that time there were very few NGO’s in East Pakistan, unlike today. A group of us started a cyclone relief project and that got many of us into development. That was followed by activism around the recognition of Bangladesh and the civil war that was being perpetrated on East Pakistan by West Pakistan. Then, in the mid-70’s I joined what is now the world’s largest NGO but was at that time quite small: BRAC [then known as the Bangladesh Rehabilitation Assistance Committee]. The founder of BRAC [Fazle Hasan Abed] and I had worked together on the cyclone relief and some of the money we had raised for cyclone relief he spent to rehabilitate refugees returning from India after the Civil War, and that’s how BRAC was born. He invited me to join BRAC, so I did and started the women’s program in BRAC. That was the beginning of my activist practitioner career. I worked with BRAC for 5 years. The work involved organizing village women, but also supporting their livelihoods in various ways: craft revival, poultry farms; all the inputs that were needed to make their livelihoods more viable. The next chapter of my activist practitioner career was that I was invited by Oxfam America to set up their first field office in India, and I did that in 1970-71. I was in India for going on 7 years. I took all the lessons I’d learned from BRAC Bangladesh and supported a portfolio of grantees who were working with either village women or city-slum dweller women around their economic empowerment. I worked with about 60 NGO’s. Yes, both those chapters of my activist practitioner life sort of propelled me into the WIEGO work. Any of the knowledge I’d gained, the contacts I made, the commitment I gained, all of that was then channeled into WIEGO. ASAP: How did you come to form WIEGO? When I left Oxfam America in India, I came to Harvard and I started doing research and teaching at the Kennedy School. For about a decade I tried to stay involved in the more activist practitioner part of my life. I did consulting, and I did field research. In the early 1990’s, three of us [at the Kennedy School] began to say, ‘we need to do something about how the informal economy is perceived in mainstream academia, and in mainstream development discourse,’ because we knew that it was stigmatized as underground, illegal, black, gray, and that the working poor that we worked with were mostly in the informal economy, and most were simply trying to earn an honest living against actually great odds. So we began circling the idea of a project on the informal economy. In 1997 we convened a group of 10 experts on the informal economy for what was called the team residency at the Rockefeller Foundation’s Bellagio Center, in Bellagio, Italy. Some of us didn’t know each other before but we knew about each other so we gathered people who we thought were had the same concerns that the informal economy was misunderstood and somehow undervalued in development circles. We had four or five days at Bellagio to spell out how we saw the problem and what we thought would address it. We had a member of that founding group that loved to do charts for us. He did a chart that had a pyramid and an inverted pyramid. The pyramid was what the labor force looked like. At the tip of it you had the formal labor force, at the base of it you had the large informal workforce. On the inverted pyramid at the top you had all the resources and support (policies, regulations) supporting the small formal workforce, and at the inverted tip of the pyramid, you had the very few resources and support going towards the broad base of the informal economy. We wanted to make a rectangle instead of the inverted pyramid where appropriate; resources and support would go to the base of the informal workforce. ASAP: What are some of the particular challenges that face female workers in the informal economy? How does WIEGO address those challenges? We address them in a 2-layered way. One is that we see the problems that all informal workers face, and usually those are sector specific, and then we look at the particular constraints that women within those sectors might face that the men do not. There are 2 kinds of issues that we look for. One is what are the negatives, the sort of binding constraints on informal workers as a whole, and by sector. Then we look to see what kind of support they are demanding, either legal, policy, services, resources, what kind of support would help them. So it’s partly what would reduce the negatives and also what would enhance the positives for informal workers by sector. Then we look at what’s affecting women in particular. So if you take street trade for instance, the big constraints are the insecurity of the vending site and the daily harassment by local authorities, specifically police. Within that, the problems are particularly acute for those who sell fresh produce, one of the reasons being that if your goods are confiscated and they’re fresh, they perish before you can retrieve them from the local authorities. We also know that the majority of fresh produce vendors are women and that the majority of vendors of more durable products are men. So that’s how we address the generic constraints and then the differences between men and women within them. ASAP: Describe a few of WIEGO’s greatest achievements. I’ll go from the more abstract to the more specific. I think with regards to mainstream thinking mindsets, we have changed the conceptualization of the informal economy to include not just the self-employed in informal enterprises but also the wage employed in what we call informal jobs. We’ve developed with the ILO (International Labor Organization) statistics department and other international and national statistical bodies a new concept and definition called informal employment, which includes both the self-employed and the wage employed. That is one of the main contributions at the more abstract, intellectual level. More concretely, we have helped create or strengthen organizations of the workers and link them up by sector. We’ve helped create national, regional and international alliances of domestic workers, home based producers, street vendors and waste pickers. We know for sure that many of those organizations would not exist without our support or would not be as strong. Those are our two main claims to fame. Otherwise, we’ve been able to change mindsets and get more favorable policies in those contexts. But our two main achievements increasing visibility through the statistics and the second one is increasing voice through organization. ASAP: You talk about the importance of inter-disciplinary cooperation in doing this kind of work. Why is that cooperation important, and how do you achieve it? There is the academic context of interdisciplinary research, but the more important interdisciplinary aspect of WIEGO’s work is what I would call inter-constituency. We’re really a 3-legged stool. We have members and partners that are organizations of informal workers, we have members and partners that are researchers and statisticians, and then we have members and partners who are development practitioners in national government, international agencies, and NGO’s, and we bridge those three worlds. I think that’s a signature dimension of our work, that we really try to bridge those worlds and build on the comparative strengths of each to leverage more support for the working poor in the informal economy. We help build the advocacy capacity of the organizations of workers, we gain expertise from them, we get researchers and statisticians working on improving our knowledge of the informal economy and then we partner with development agency members and partners to try to bring about policy change. ASAP: Do academics have a responsibility to be activists? I wouldn’t say that all academics have a responsibility to be activists. I think that academics in the social sciences might be more likely to be engaged in the real world effecting some type of change in either policies, or theories or practices that relate to issues that impinge on the poor, so there’s a responsibility to make sure that what they do in the real world doesn’t have contradictory outcomes for the poor. Maybe one way to do that is to become more activist with what you do in the world. But I wouldn’t say that all the people in the humanities or the sciences have a responsibility to be activists. ASAP: How has your activism work with WIEGO encouraged or inspired your academic research? I was trained to learn and to think inductively rather than deductively: I don’t start with received wisdom and then try to test the theory, I tend to start with descriptive reality and then build up theory, so my exposure through activism is always feeding into that kind of inductive learning and thinking. There’s just no doubt that it has informed my academic work. ASAP: What are your future goals? I see myself for the duration of my career being both academic and activist, primarily through my WIEGO work. The research/intellectual agenda of that work is to continue to push for better statistics on the informal economy, since data drives so much of policy making and to complement that with better field research on the informal economy. We’ve just completed the analysis of the first round of a 10-city study on what’s driving change in the urban informal economy. We plan, if we can raise the funds, to do a second round so we would have a longitudinal panel of data on observing the workers in those 10 cities. ASAP: Does WIEGO present its findings to policy makers? We don’t do research without having that in mind as our targeted outcome. We’ve presented the first round of findings at the World Urban Forum, I’m presenting to the European Commission, and a regional conference with urban officials in Bangkok next week. We wouldn’t do the research if it wasn’t going to be channeled. In each of the 10 cities our lead partner was a local organization of workers, so we have published advocacy tools and materials based on the city level studies for those organization to use in their ongoing advocacy work. It’s always research to advocacy. There’s no doubt about that. That’s the goal. ASAP: What advice can you share with academics who might be interested in poverty related activism? I think it’s very important to partner with some kind of member organization of the poor to first know what their needs, demands, and dreams are, and second to tailor your own research and activism to meet those needs and demands and dreams, and to build the capacity of those organizations to carry on the fight. Academics and policy makers will come and go but the poor and their organizations are the ones who are in it for the long haul, to try to make their working environment more favorable and supportive. In this article, Gabriel Neely-Streit interviews Professor Jason Sharman, of Griffith University in Brisbane, Australia. His recent work has been instrumental in exposing widespread corruption among Papua New Guinea (PNG) government officials. Millions of dollars, Sharman has found, are being siphoned from PNG government accounts into private bank accounts and investments in Australia, many of which belong to government officials. Read more of our Impact Interviews. Sharman and Sam Koim, Papua New Guinea’s Anti-Corruption task-force coordinator, continue to work to expose both these corrupt PNG officials and actions by Australian banks and government agencies that allow money laundering to continue. More broadly, Sharman is one of the world’s foremost scholars on shell companies and international money laundering, issues with increasingly important implications for global poverty and governance in virtually all states. Here, he discusses his research on PNG corruption, Australian money laundering and international shell companies, and his efforts to bring his findings to a public audience. GNS -How did you first get started studying corruption and the shadow economy? What motivated you to focus on money laundering? JS- I first developed an interest in tax havens because in studying international politics I was interested in how small, weak countries (most tax havens are small places) relate to big, powerful ones. Tax havens led to an interest in money laundering as the two are commonly associated in policy pronouncements and the media, though the partial evidence we have actually suggests that most laundering takes place in big, rich countries. -How did you become aware of Papua New Guinea’s money laundering issues? How did you get involved with Sam Koim and Taskforce Sweep? I was alerted to the problem of corruption proceeds from PNG being laundered in Australia by people who did the international assessment of PNG’s financial system. When I first did interviews with people in the Australian government they recommended I get in touch with Sam Koim, and so I flew him over to a workshop in Brisbane in October 2012, we have stayed in touch since. -How much of PNG budget siphoning/ money laundering is being done by government officials? The local police estimates that something like 40% of the total PNG budget is stolen by politicians and bureaucrats in the government. In a smaller project I bought some shell companies from Nevada, England the Seychelles as well as opening bank accounts in the US, Cyprus and Somalia. Later with my co-authors Mike Findley and Dan Nielson we impersonated a range of high- and low-risk individuals and made over 7,000 email solicitations to firms in 180 countries for exactly the sort of untraceable shell companies that are prohibited by international law. The results are available at http://www.globalshellgames.com. -In which ways are Australian banks complicit in PNG money laundering? Are they doing due diligence to ensure that customers with PNG ties are banking legitimate money? What should they be doing? The Australian banks have improved their procedures for screening out corruption funds from PNG, though there are still problems. The real problem is the Australian government, which continues to turn a blind eye to these flows of dirty money. -Your work with PNG has gained a fair amount of media attention in Australia. How did you and your partner bring your findings to the media/ general public? Why did you feel it was important to do so? Crime is a media-worthy story. When it comes to corruption, the Australian government has no interest in taking action unless they are embarrassed in the media first. After taking no action for years there was a public direction to the head of the Australian Federal Police to look into the problem less than 24 hours after the main TV program aired. Cause and effect. -In what sorts of ways does presenting your findings to the media differ from presenting in an academic journal/at a conference? Predictably, the media has no interest in method and theory, so all this had to go. The media does have an interest in hurting people and institutions, which can be turned to advantage, e.g. in pressuring the government. – Did you have to take precautions against any sort of backlash by the PNG government, for example being sued by officials who were implicated? Did you feel threatened at any point during your research/presentation of your findings? What has the fallout been? The Australian government has now cut off my access to some key officials, which is annoying, and tried to prevent people in the PNG government talking to me, unsuccessfully. Getting sued for libel/defamation is certainly a worry, I’ve taken precautions but the risk remains. People in PNG tackling this problem certainly face much bigger dangers, including assassination. -What’s next for the PNG case? Has Koim made any prosecutions? Have Australian banks/government institutions stepped up their vigilance? Koim has made good progress is getting a lot of publicity, political pressure, arrests and has also got a lot of money back, but the problem is huge. He is also in a great deal of danger personally. -How important is stopping these corrupt financial outflows to PNG’s stability? How serious are PNG’s financial and humanitarian issues? Having 40% of your budget stolen is a serious problem, PNG seems to be a classic case of the resource curse, with great wealth but also very large sections of the population living in poverty. Elsewhere this type of problem has led to serial political instability and even state collapse. -What advice do you have for academics who want to take a more active role in fighting corruption? Don’t expect any help from local or foreign governments, though individual officials are often incredibly helpful, and NGOs and the media are also crucial. This latest ASAP Impact Story profiles Prof. Jason Sharman of Griffith University in Brisbane, Australia, whose recent work has been instrumental in exposing widespread corruption among Papua New Guinea (PNG) government officials. Millions of dollars, Sharman has found, are being siphoned from PNG government accounts into private bank accounts and investments in Australia, many of which belong to government officials. GNS: How did you first get started studying corruption and the shadow economy? What motivated you to focus on money laundering? JS: I first developed an interest in tax havens because in studying international politics I was interested in how small, weak countries (most tax havens are small places) relate to big, powerful ones. Tax havens led to an interest in money laundering as the two are commonly associated in policy pronouncements and the media, though the partial evidence we have actually suggests that most laundering takes place in big, rich countries. How did you become aware of Papua New Guinea’s money laundering issues? How did you get involved with Sam Koim and Taskforce Sweep? How much of PNG budget siphoning/ money laundering is being done by government officials? In a smaller project I bought some shell companies from Nevada, England the Seychelles as well as opening bank accounts in the US, Cyprus and Somalia. Later with my co-authors Mike Findley and Dan Nielson we impersonated a range of high- and low-risk individuals and made over 7,000 email solicitations to firms in 180 countries for exactly the sort of untraceable shell companies that are prohibited by international law. The results are available at globalshellgames.com. In which ways are Australian banks complicit in PNG money laundering? Are they doing due diligence to ensure that customers with PNG ties are banking legitimate money? What should they be doing? Your work with PNG has gained a fair amount of media attention in Australia. How did you and your partner bring your findings to the media/ general public? Why did you feel it was important to do so? In what sorts of ways does presenting your findings to the media differ from presenting in an academic journal/at a conference? Did you have to take precautions against any sort of backlash by the PNG government, for example being sued by officials who were implicated? Did you feel threatened at any point during your research/presentation of your findings? What has the fallout been? What’s next for the PNG case? Has Koim made any prosecutions? Have Australian banks/government institutions stepped up their vigilance? How important is stopping these corrupt financial outflows to PNG’s stability? How serious are PNG’s financial and humanitarian issues? What advice do you have for academics who want to take a more active role in fighting corruption? In this latest Impact Interview, Elaine Kellman speaks with Robtel Neajai Pailey, a Mo Ibrahim Foundation Ph.D. Scholar at the School of Oriental and African Studies (SOAS), University of London, who is battling corruption in Liberia. Read more of our Impact Interviews. While still a doctoral student, Robtel Neajai Pailey has emerged as a globally influential voice on poverty, corruption and related issues. In a career that already spans work as a practitioner, journalist, government staff member and academic, she has published articles or comment pieces in The New York Times, Africa Today, The Guardian and many other outlets. She has also covered news out of Africa as an assistant editor of the Washington Informer Newspaper, worked in capacity building for the Foundation for International Dignity (a refugee rights organisation), taught and developed curriculum at the Robben Island Musem in Cape Town, South Africa and the Buduburam Refugee Camp School in Ghana, and has collaborated with or consulted for a range of NGOs and philanthropic agencies. It was while working as a government aide in Liberia that Pailey became aware of allegations that Liberia’s government-administered scholarships were being sold to the highest bidder and / or given to relatives of government officials. Outraged, she formulated a transparent system of awarding scholarships to the best applicants, which has now been fully implemented by the Liberian government. In addition, Pailey has devised and written a children’s book, Gbagba which was published by www.onemoorebook.com in 2013. Exploring issues of integrity, accountability and corruption, Gbagba (loosely translated in the Bassa language as ‘trickery’) follows a few days in the life of Liberian twins, Sundaymah and Sundaygar, who leave their hometown of Buchanan to visit their aunt in Monrovia, facing tough decisions and challenges along the way. Last year, Pailey’s research on Liberia and her work to tackle corruption was formally recognised, as she was selected as one of the most influential foreign policy leaders under the age of 33 by global affairs magazine Diplomatic Courier and Young Professionals in Foreign Policy. Pailey was recognized in this list as a “shaper”: that is, someone who changes the public discourse on an aspect of foreign policy or raises awareness of a critical issue. Here, Pailey discusses with ASAP the challenges and rewards of her impact work in Liberia, as well as her future plans, and offers advice to others who may be seeking to make an impact through their research. ASAP: What made you decide to write a book like Gbagba, addressing corruption and aimed at children? RNP: I got really frustrated with all the rhetoric about fighting corruption in Liberia, and wanted to start a national conversation with children. After teaching in two of Liberia’s universities and working in policy spaces in national government, I realised that integrity must be strengthened at the earliest stages in a child’s life in order to mitigate the practice of corruption in the next generation. So, I wrote Gbagba, creating a narrative that Liberian kids could see themselves reflected in, thereby increasing their love of reading. It’s virtually impossible to expect that an 18-year-old approaching adulthood is all of a sudden going to develop scruples, especially when his/her society does not value honesty. Eight to 10-year-old children are the perfect targets because it is at this stage that they begin to form an ethical core. In writing Gbagba, I imagined myself a proverbial anti-corruption pied piper, without the instrument of doom. ASAP: What were the major challenges in getting Gbagba published? RNP: I was very fortunate in that I didn’t have hurdles publishing Gbagba. My publisher, Wayetu Moore, of One Moore Book (OMB), approached me in early 2012 about a Liberia Signature Series that she was publishing in 2013 featuring Liberian veteran writers Stephanie Horton and Patricia Jabbeh Wesley. Wayetu asked if I could be the third Signature Series author, and I jumped at the opportunity because I had already conjured up Gbagba in my head. 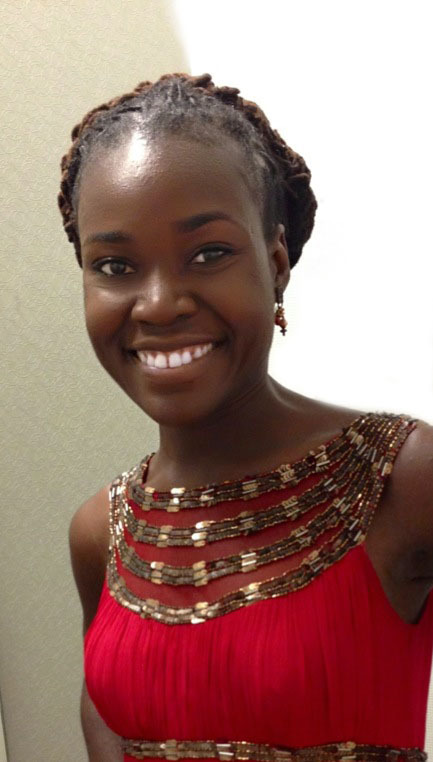 Wayetu, a young Liberian social entrepreneur and writer based in New York, was enthusiastic about the concept of the book from the very beginning. She founded OMB in 2011 with her four siblings because they wanted to revolutionise the children’s book industry by producing stories for children from underrepresented cultures. Wayetu was the perfect ally in giving life to Gbagba. So, too, was Chase Walker, my illustrator, who had been drawing subversive cartoons for months in Frontpage Africa Newspaper, a local daily in Liberia. A self-taught graphic designer and artist, Chase provided such depth to my twin protagonists, Sundaymah and Sundaygar, that their personalities jumped off each page of the book! ASAP: What has the response to Gbagba been like in Liberia? RNP: Gbagba has received nothing but goodwill in Liberia. I’ve done readings of Gbagba followed by discussions with children in Liberia’s capital, Monrovia, and was struck by how astute they are. They understand issues of integrity better than we adults do, and are able to articulate themselves with such bright-eyed innocence. Before conducting a workshop and preview reading of Gbagba at a local elementary school in Monrovia, one girl told me, “Corruption is breaking the Ten Commandments and hurting people.” This young child understood so fundamentally the intrinsic value of accountability. This is why I wrote Gbagba, to give young children the verbal tools to question the confusing ethical codes of the adults around them. Beyond the children of Liberia, adults have also responded in kind. Most parents I come across want copies of the book in their homes, and teachers want to use it in their classrooms. In 2013, the Liberian Ministry of Education placed Gbagba on its list of supplemental texts for 3rd to 5th graders, although I am aiming to get the book in the formal curriculum for these grades. The UNESCO office in Liberia also devised a values education curriculum proposing Gbagba as a core text, and this proposal is under consideration. And most recently, the Open Society Initiative of West Africa (OSIWA) approved a grant to donate 1,500 copies of Gbagba to schools across the country. With this grant, we’ll be commissioning Luckay Buckay, one of Liberia’s premier Hip-co artists, to write and produce a Gbagba song that will be released sometime this year. ASAP: What might you say to others who may want to pursue broadly similar projects in countries like Liberia? RNP: Do your research. Countries like Liberia are not tabula rasa; they are incredibly complex with often competing realities. Understanding the local context is absolutely crucial in making positive inroads. Speak to a diverse range of stakeholders. Ask what the needs are, and try to figure out if your potential intervention is required or even desired. Too often, we conjure up grand plans that sound fantastic, but have no relevance for the contexts in which we want to work. It’s better to join forces with already existing local initiatives than to reinvent the wheel for personal aggrandizement. ASAP: How did you become involved in Liberia’s International Scholarships Scheme? RNP: My involvement was based on a conversation that I initiated with Liberia’s President, Ellen Johnson Sirleaf, in 2009. At the time, I worked as a mid-level aide in her office. I had been collecting news clippings from a recurring exposé in one of Liberia’s local dailies, In Profile Daily, alleging that Liberia’s bilateral, international scholarships were being sold to the highest bidder as well as given to the relatives of government officials. I approached the President concerned about the implications of this exposé, given that Liberia had major gaps in capacity in crucial areas that international scholarships could help fill, such as engineering, agriculture, and medicine. President Sirleaf noted my concern and asked me to do a formal investigation and come up with a list of recommendations, which I did. After discovering that the allegations in the exposé were true, I recommended that the government of Liberia appoint an ad-hoc scholarships committee to overhaul and reform the entire bilateral scholarships scheme, making it merit-based, transparent, and gender-balanced. The President appointed me chair of the committee, and within months we devised a bilateral scholarships policy and began vetting scholarships in a transparent manner. The first batch of scholarships under our supervision was awarded to some of the brightest young people I’ve ever met in Liberia. ASAP: What made you decide to try to reform it? RNP: I’ve been on merit-based academic scholarships in the US and UK since I was 15. My working class parents always stressed the value of hard work and scholastic achievement. They gifted me with an insatiable love of knowledge and ambition to succeed. If not for the scholarships I received from high school through my current Ph.D., I would not be where I am today. I thought it was incredibly important for the best and brightest in Liberia to have the same opportunities I had, so that they could meaningfully contribute to the country’s post-war reconstruction process upon completion of their studies. ASAP: What were the major challenges you faced in your reform effort and how did you address those? RNP: The first major challenge was gaining public confidence in the new scheme. The scholarships process had been hijacked by those with money and power for so long that the average Liberian had lost faith in it, thinking it was a foregone conclusion that you could pay your way through the system or use your political affiliations to secure awards. To address these negative public perceptions, I conducted a series of radio interviews with scholarships recipients who had gone through our new and improved system, to give people first-hand accounts of the many reforms we had made. The second major challenge was maintaining our high standards and ensuring the process was merit-based despite attempted interference from private citizens and government officials. To address this, my committee and I made it clear to anyone trying to intrude that our final decisions were final, and that only those who had passed our very rigid guidelines would be invited for interviews and written exams. ASAP: Your reforms have now been adopted by the Liberian government. What are the biggest implementation challenges that you can see remaining? RNP: The major challenges are maintaining the selection criteria and standards we set, and ensuring that those who return from studies are placed in government agencies where they can meaningfully contribute to Liberia’s development. ASAP: Based on what you have learned in your research for the book and related work, what do you think are the key challenges facing Liberia, now and in the future? RNP: Liberia’s historical and contemporary challenges are two-fold. First, we lack systems of true merit, where people are promoted or appointed (whether in school settings or in job settings) based on what they know not who they know. This leads to disincentives for personal achievement and low levels of productivity. It also fuels patronage and corruption. Our second major challenge is reconciling what I call an ‘external agenda for Liberia’—based on the whims of donors, multi-national corporations, and the UN—with a clearly defined ‘internal agenda for Liberia’—based on the aspirations of Liberians themselves. Too often, the external agenda supersedes the internal agenda, thereby fomenting domestic angst. ASAP: You have been named one of the most influential foreign policy leaders under the age of 33. What do you think that kind of visibility might be for your impact work? RNP: The award has definitely provided me with increased visibility and legitimacy to fulfill my life’s work, transforming Liberia for the better. ASAP: How do you balance your impact and commentator work with your doctoral studies? RNP: My doctoral thesis addresses the ways in which citizenship in Liberia has been reconfigured across time and space, and what implications this has for post-conflict reconstruction. My impact and commentator work are extensions of my doctoral studies and vice versa, so I don’t consider them mutually exclusive. ASAP: How has your work outside academia figured in your research? RNP: I was born in Liberia, but grew up in the U.S. because of the 14-year conflict in my country. Ever since I can remember, I’ve always had a metaphysical connection to Liberia, and have been obsessed with trying to figure out what it means to be Liberian across varying landscapes. Most of my life’s work inside and outside academia has focused on creating pockets of transformation for those who may not be able to speak truth to power, particularly in Liberia. ASAP: What are your own aims and ambitions for the future, both in your research work and your impact work? RNP: I plan to delve into a full-time writing and teaching career after completing my Ph.D., with a series of Gbagba books serving as my first major foray into book publishing. In addition to children’s books, I intend to write academic articles and books, beginning with the publication of a book version of my Ph.D. thesis. I also plan to freelance for magazines and newspapers on a range of contemporary development issues facing sub-Saharan Africa. And finally, I intend to teach qualitative research methodologies as well as English composition and literature in Liberia. ASAP: What advice would you give to a university looking to encourage academics to make an impact at an early stage of their careers? RNP: Universities should adopt SOAS’ ethos of encouraging academics to be fully engaged with the world around them, rather than just pontificating about it in the ivory tower. This can be done by placing an emphasis on evidence-based research that has policy relevance and ultimately affects practice. In this latest Impact Story profile in ASAP’s Impact: Global Poverty project, Elaine Kellman speaks with Robtel Neajai Pailey, a Mo Ibrahim Foundation Ph.D. Scholar at the School of Oriental and African Studies (SOAS), University of London, who is battling corruption in Liberia. While still a doctoral student, Robtel Neajai Pailey has emerged as a globally influential voice on poverty, corruption and related issues. In a career that already spans work as a practitioner, journalist, government staff member and academic, she has published articles or comment pieces in The New York Times, Africa Today, The Guardian and many other outlets. She has also covered news out of Africa as an assistant editor of the Washington Informer Newspaper, worked in capacity building for the Foundation for International Dignity (a refugee rights organisation), taught and developed curriculum at the Robben Island Museum in Cape Town, South Africa and the Buduburam Refugee Camp School in Ghana, and has collaborated with or consulted for a range of NGOs and philanthropic agencies. In addition, Pailey has devised and written a children’s book, Gbagba which was published by onemoorebook.com in 2013. Exploring issues of integrity, accountability and corruption, Gbagba (loosely translated in the Bassa language as ‘trickery’) follows a few days in the life of Liberian twins, Sundaymah and Sundaygar, who leave their hometown of Buchanan to visit their aunt in Monrovia, facing tough decisions and challenges along the way. RNP: Do your research. Countries like Liberia are not tabulae rasa; they are incredibly complex with often competing realities. Understanding the local context is absolutely crucial in making positive inroads. Speak to a diverse range of stakeholders. Ask what the needs are, and try to figure out if your potential intervention is required or even desired. Too often, we conjure up grand plans that sound fantastic, but have no relevance for the contexts in which we want to work. It’s better to join forces with already existing local initiatives than to reinvent the wheel for personal aggrandizement. Pluralism and Integration: from Civil Society to an Impartial and Fair Global Order. • public education encouraging citizens to understand and engage with critical issues. Our board includes leading academics from a variety of fields, all with a passionate interest in poverty alleviation. We seek the elimination of global poverty, as guided by rigorous evidence-based and normative scholarship. We gladly accept all media inquiries, general inquiries, inquiries for national ASAP Chapters and other suggestions.